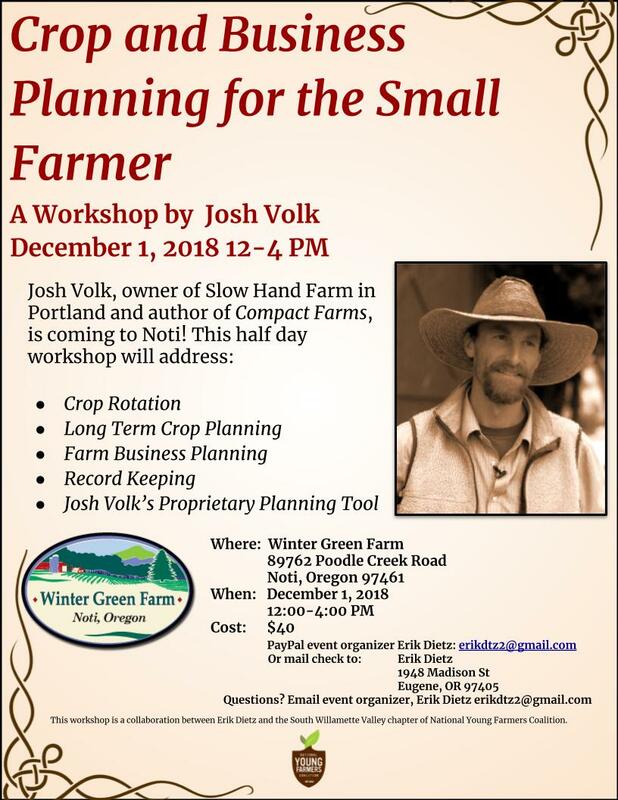 This workshop, sponsored by Winter Green Farm’s Erik Dietz and the South Willamette Chapter of the National Young Farmers Coalition, is designed to help small and beginning farmers get the organizational tools they need to make sure their business and crop planning is clear and sound. Bring a laptop to download and follow along on Josh Volk’s excel based organization system and learn how he has made his business successful rather than stressful. Learn how to use Volk’s system to stay organized and keep yourself in the field more and behind a desk less.